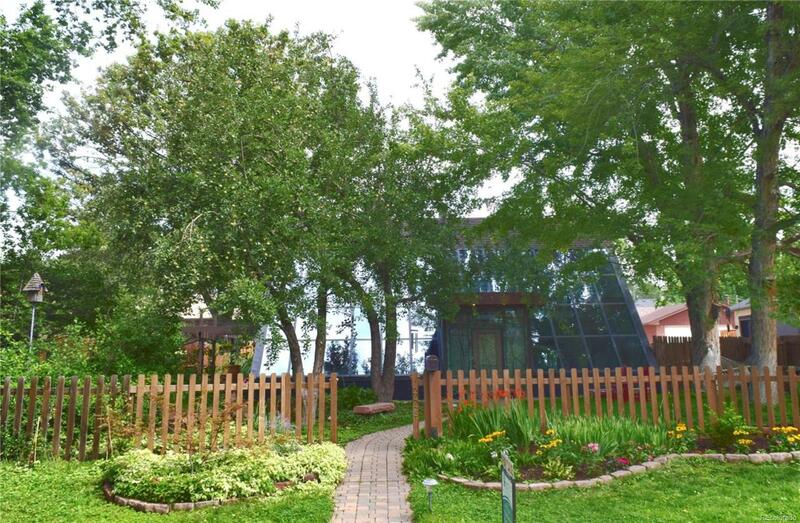 Stunning one of a kind passive solar home in coveted Observatory Park neighborhood! On a quiet street, this home is only a few blocks from Observatory Park and DU and just steps away from McWilliams Park & Harvard Gulch Trail. Features over 3800 total sq. ft. with 3 bedrooms & 4 bathrooms, open floor plan and breathtaking two-story atrium/greenhouse. Large free flowing first floor plan opens to beautiful skylight lit study/office with vaulted ceiling. Master bedroom opens onto your own personal balcony in the treetops. Quiet side patio is perfect for entertaining. The shade filled yard is cool and inviting with a Rachio smart sprinkler system. Easy access to DU, light rail & I-25, in addition to tons of shops and restaurants. This one will go fast!